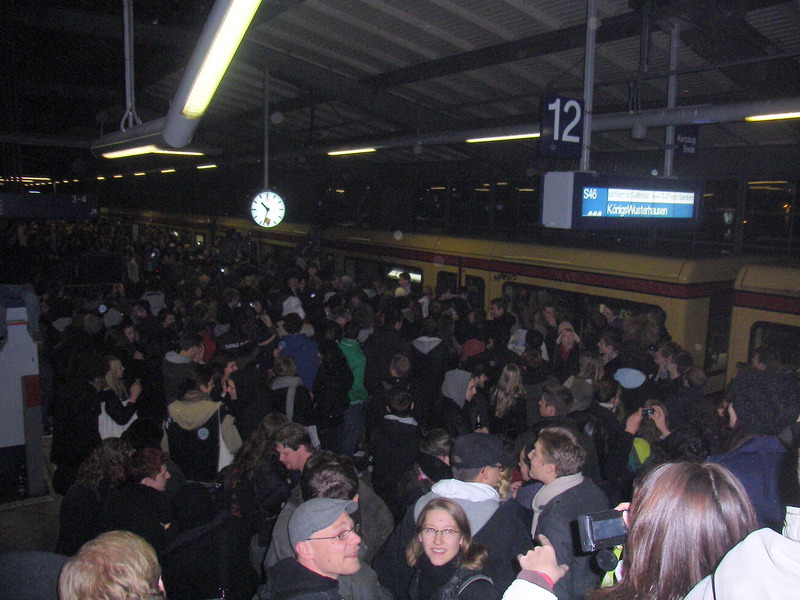 At 10 pm the station was packed, and everybody was anxious not to miss the start and get in the train. But what followed wasn’t fun at all. The organizer missed out to calculate the alcohol factor: Too many young people, drank to much and when the starting signal stayed out, many went crazy, stopped the trains, painted them, jumped and walked on them or just destroyed the windows. It was outrageous. The good atmosphere and vibe that circulated, was replaced by violence and uncontrollable vandalism. The whole event ended with 20 police officers, trying to stop the young crowed and help the metro drivers. It aggravated me to see all these broken bottles, destroyed ticket machines and trains as well as 15 year olds stumbling around, oblivious to their destructiveness. Apparently this is everyday life for most public transport drivers. When I took the bus this week in one of Berlin’s safest areas, there were security guards, who scanned the passengers. Alone this year the BVG (Berlin Public Transport) hired 60 guards to protect their drivers. 120 would be necessary to guarantee a decent security, but the 4 million Euros extra required are not affordable. Till August 87 drivers were severely attacked and 149 slightly. Almost all buses are equipped with cameras and special walls around the driver cabinet. How can it be that bus drivers have to face such danger when they go to work? It’s atrocious that taxes have to flow into such measurements, just because people don’t know how to occupy themselves other than by being destructive. It’s maddening that such an event like yesterday was overshadowed by ferocity. This entry was posted in Drugs, Europe and tagged Destructiveness. Bookmark the permalink. Spreechless with terror! Not only that I fear big masses of people(is a slight phobia, I guess), the imagination they could get violent without any reason makes me realy nervous. I mean, I probably would’t go to such a party, but I could have been traveled by train where the “party” took place. Ouch! But, as you already have mentioned, the most disgraceful fact in this example is the absurdity which costs us all a nice bit of taxpayer’s money. Hmm quite happy that I didn´t go there finally. 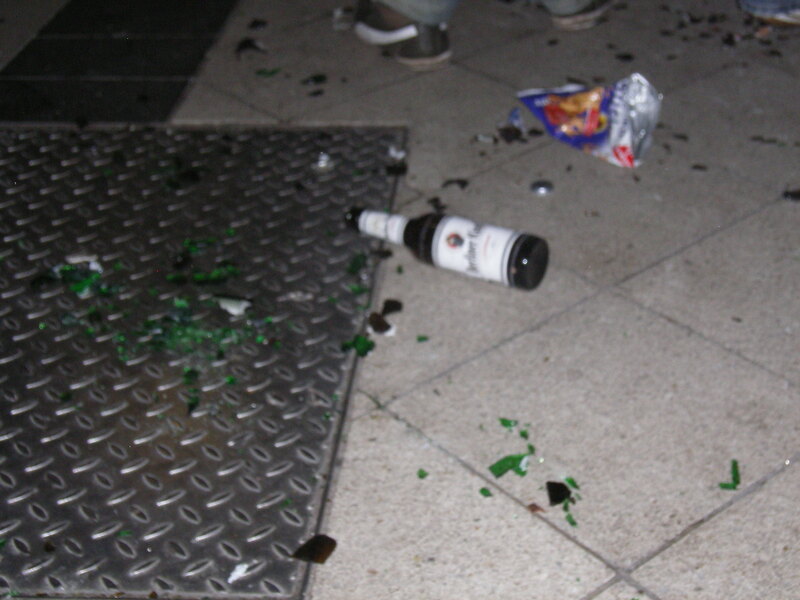 By the way I can´t remember such vandalism during last semester ring parties, was it the first time something like that happened?